These divrei Torah were adapted from the hashkafa portion of Rabbi Yissocher Frand’s Commuter Chavrusah Tapes on the weekly portion: CD #1027 – Giving Shalom/Saying Hello To A Person in Aveilus. Good Shabbos! The Sifrei is bothered: What exactly is Moshe referring to when he says, “This is the thing Hashem has commanded you to do in order for the Shechinato appear to you?” Ostensibly, they have already done everything they were supposed to do. What is added by this last instruction? The Sifrei answers: The last step is to get rid of “that Yetzer Harah” and be united in one feeling of reverence (yirah achas) to serve the Omnipresent. However, this Sifrei has just complicated the problem. The Sifrei says to get rid of “that Yetzer Harah,” but it has not told us to what “that Yetzer Harah” is referring. Almost everyone who ever picked up a pen to write a commentary on Parshas Shmini deals with this Sifrei and tries to analyze what Yetzer Harah the Sifrei is speaking about. In previous years, we have mentioned an interpretation from the Netziv in his Ha’Amek Davar commentary, where he explains the allusion is to the fact that people sometimes want to invent their own form of Divine Service. They want to be innovative. That which the Ribono shel Olam has proscribed in the Torah is not good enough for them. They want to formulate their own novel forms of worship with which to serve Him. It is this Yetzer Harahthat Moshe is negating here: As passionate and as inspired as you may be, stick to the rules the Torah has decreed. Do not invent your own type of Avodas Hashem. The Netziv brings support for his interpretation from the fact that immediately following this section in the Torah is the story of Nadav and Avihu, who offered “a foreign fire that was not commanded by Hashem.” In their exuberance and devotion to the Ribono shel Olam, they tried to do something new. This is exactly what the Sifrei is warning about — “that Yetzer Harah” which seduces man into feeling the need to innovate in his Divine Service. The Panim Yafos, written by Rav Yonason Eibeshitz, interprets it differently. He says the Yetzer Harah that the Sifrei is alluding to is gayvah[haughtiness, or hubris]. They finished the mishkan. They had been working on this for such a long time — over six months. Now it has finally come to fruition. They have now inaugurated the mishkan for seven days. They have done everything they were commanded, and the mishkan looks magnificent. In such a circumstance, someone may start to feel very good about himself — perhaps too good, perhaps a little gayvah creeps in. The Sifrei instructs: Get rid of that Yetzer Harah. You did what you need to do. Good job, but don’t let it get to your head. The Imrei Emes (the fourth Gerer Rebbe) says “this Yetzer Harah” refers to machlokes [argumentativeness]. When building a mishkan, everyone pitches in and does what they are supposed to do, but now “Who is going to be the president?” or “Who are they going to honor to bring the Sefer Torah in?” What happens? People start arguing with one another. As long as the building project is ongoing, the people are busy. Once the hard work is behind them, the natural quarrels start: “I did more than you.” “I gave more money than you,” and so on. The Imrei Emes draws support for his interpretation from the words of the very Sifrei: “…so that all of you will have one source of Awe and one source of counsel.” This is what the Sifrei was worried about — that there would be machlokes. So the Sifrei instructs, let there be unity; let there be completeness. There are other interpretations, which I will not go into. But, asks the Beis Yisrael (the fifth Gerer Rebbe), why didn’t the Sifrei say what it meant? Why not spell out the nature of the Yetzer Harah it was referring to? Why the need to speculate, such that this one says it’s gayvah, another says it refers to machlokes, yet another says it refers to the desire to innovate, and so on? Why didn’t the Sifrei say it clearly, black on white? The Beis Yisrael answers with an interesting idea: “That Yetzer Harah” changes from generation to generation. We all know that every person is put into this world with his particular challenges and his particular spiritual mission. One person may be wealthy, but perhaps a little stingy. He needs to work on his character traits, such that he should be able to part with his money. Other people have different Yetzer Harahs and different challenges. There is not “one size fits all” when it comes to a spiritual challenge in life. That which is true on an individual level is true on a national level as well. There are different periods in the history of Klal Yisrael, and different generations had to work on their particular challenges. One size does not fit all! More than one hundred years ago, at the end of the 19th century, there was a tremendous Yetzer Harah for intellectualism, the pursuit of various types of philosophy. Every generation has its specific challenges. The Beis Yisrael argues that the fact that it changes from generation to generation is why the Sifrei does not spell out the particular nature of the Yetzer Harah being specified here. For one generation, other religions were a Yetzer Harah. For another, the lure of science or humanism or philosophy was their Yetzer Harah. Today, people are not sitting in the cafes in Paris discussing why G-d created the world. They are doing other things in Paris that they should not be doing. But it is not the same challenge that it was perhaps a hundred or a hundred and fifty years ago. The Beis Yisrael says that in his opinion, the particular spiritual challenge of our generation is sanctification and purity (kedusha v’tahara). We are assaulted today by a society that is so promiscuous, so base, and so vulgar. This is our Yetzer Harah. That is what we have to be on guard against — to protect the holiness of the House of Israel. The Sifrei left the matter vague on purpose. The Sifrei is saying that when we have accomplished something spiritual — when we have built a shul, when we have built a mishkan, whatever it is — when we have done something spiritually positive, we need to watch out for the nisayon [spiritual challenge] that faces our generation. It is for us to fill in the blanks of what that nisayon is. Why Did the Torah Need to Mention “Fins” as a Kosher Sign for Fish? The Gemara answers, “to magnify Torah and to exalt it.” (l’hagdil Torah u’l’ha’adira). In other words, in truth, it was not necessary to provide the extra detail about fins, once we know that scales are a kosher sign for fish. It was just provided as a literary flourish to expand the Torah and exalt it. We could condense many tractates in the Talmud this way! Maybe Bava Basra would not need to be 176 blatt long. Maybe we could get it down to 100 blatt. So much of Talmudic discussion is spent analyzing exposition of extra words and letters! What is going on here with this answer in Chullin as to why we have the superfluous teaching that scales and fins make a fish kosher? I saw in a sefer a wonderful interpretation quoted in the name of a Reb Aryeh Tzvi Frumer [1884-1943; Poland]. Today we are familiar, perhaps, with most of the fish in the world. But even today, every once in a while a marine biologist comes up with new species of fish that are first being discovered now. Certainly in Talmudic times, if you asked a scientist, “Is there any fish in the universe that has scales and does not have fins, no scientist would go out on a limb and say “there is no such thing!” Perhaps the same could be said even a hundred years ago! How would he know? Who can say, “I have knowledge of every single species of fish that will ever be discovered”? Science is empirical. Facts need to be discovered. Nobody can say definitively something is true of every single species of fish, because nobody has seen every single fish in the world. Yet, the Ribono shel Olam tells us (in the Oral Law) “there is no such thing in all of creation as a fish that has scales and does not have fins.” Why does He tell us this? L’Hagdil Torah u’l’ha’adira. To beautify and to glorify the Torah! 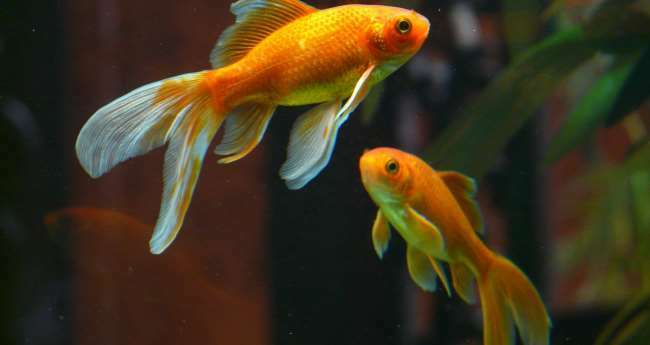 No scientist in the world can make a statement like the Gemara makes, that there is no such thing as a fish that has scales and does not have fins. But the Gemara can make such a statement because it is based on oral tradition — person from person back to the Almighty (who transmitted the Oral Law to Moshe at Sinai). This is why the Gemara utilizes the expression l’hagdil Torah u’l’ha’adira here. It testifies to the glory of the Torah’s wisdom, since only the Torah could definitively know such a scientific fact. CD# 234 – Netilas Yadayim at Breakfast: Is One “Washed Up” for the Day? CD# 456 – Gelatin: Is It Kosher? CD# 500 – Is Turkey Kosher? CD# 676 – Buffalo, Giraffe, and other Exotic Animals — Are they Kosher? CD# 808 – New York City – Don’t Drink the Water? CD# 941 – Mayim Acharonim: Is It Necessary? CD#1114 – Can You Change Your Minhag of When To Keep Sefira? CD#1200 – Bugs in the Soup – What Should You Do?